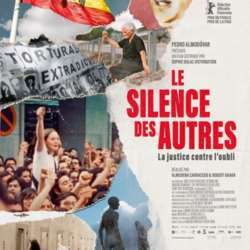 Two years after the death of Franco, in the urgency of the democratic transition, Spain votes the law of general amnesty which releases the political prisoners but also prohibits the judgment of the Francoist crimes. The abuses committed under the dictatorship and until the Protected content (disappearances, summary executions, theft of babies, torture) are then passed over in silence. But in recent years, Spanish citizens, survivors of Francoism, seize justice 10,000 kilometers of crimes committed in Argentina, to break this "pact of forgetting" and condemn the guilty. With Almudena Carracedo and José María Galante 'El Chato'. Almudena Carracedo (Madrid, Protected content . She studied cinema at the Universidad Complutense de Madrid and at the University of California, Los Angeles, where she developed a good part of her professional career. Almudena Carracedo directed, produced and photographed the experimental short Rotation Protected content Welcome, a docu-Journey of Impressions Protected content , and then, in tandem with Robert Bahar, Made in LA Protected content , distinguished by an Emmy Award, and El silencio de otros Protected content . Screening subtitled in French followed by the traditional buffet and olives tasting offered by Interaceituna. It is not advisable to buy the ticket the same day. Please buy your ticket online one week before at the latest. And you're going to miss it?